If you want to pass on your perfect love for plants, listen up: here's how you can foster a love for gardening in your children. A child will get discouraged if they're tending a hard-to-grow plant. Kids want to see great results in a short amount of time. 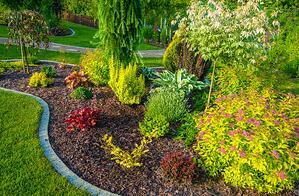 If you want to encourage gardening as a hobby, allowing them to choose between a selection of easy-to-grow plants is a great option. Radishes, for example, grow quickly, as well as lettuce and spinach. Kids are picky and they might get overwhelmed when you throw too much information at once. As such, you should introduce them to gardening in small steps. By making it their project and introducing them to new information along the way, they'll make stronger connections than by doing it all at once. You should also start small in terms of tools. Even if your little one wants to pick up the shears, you should only let them have kid-friendly tools of the trade. Keep the heavy duty garden hoses and other never kink hose options in the tool shed and rely on a lightweight hose to get the job done right. Regardless of the type of hose, a reliable product should last between five and 10 years. Think about sprinkler hose options for a fun experience with a twist. Literal boundaries should also be considered. For example, by giving your child their own spot to tend to, you're giving them a fun space of their own to enjoy. Keep it small and supervise them at all times -- after all, the never kink hose is three-times their size -- but be sure to praise them when their hard work pays off. Don't get discouraged if your child abandons their project when it gets too hard or it takes too long. You may have started too early. After all, kids have short attention spans and it can be difficult to take up a patient hobby like gardening. Some children may not like gardening at all. It might be a difficult radish to swallow, but you can always try again when they're older. If you're an avid gardener, you should rely on the best tools of the trade. Rely on the never kink hose products by Apex House to ensure your gardening is great.